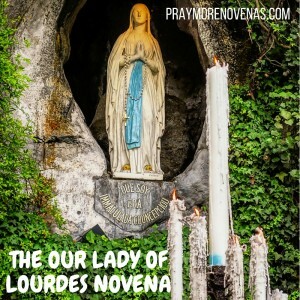 Here’s Day 2 of the Our Lady of Lourdes Novena! I pray for healing from depression for Jeremy. Keep him from decisions that could bring harm. I pray for Nina and Maya. God knows what is needed. For Paula D.’s recovery from cancer. IN JESUS NAME I PRAY TO OUR LADY OF LOURDES TO PRAY AND HELP JONATHAN H SO HE GETS COURAGE AND STRENGTH TO PHYSICALLY CALL RIMPY S AND BEGIN HIS LIFE WITH HER INSTANTLY AS TRUE SOULMATES/BEST FRIENDS AND ETERNALLY FAITHFUL AND LOVING HUSBAND AND WIFE WHO BECOME INSEPARABLE. PLEASE HELP THEM BOTH GET READY FOR ONE ANOTHER IN BODY, MIND, SOUL AND SPIRIT SO THEY LONG TO BE TOGETHER IN A REAL AND SERIOUS RELATIONSHIP WITH EACH OTHER. PLEASE PRAY FOR ANGIE N TO IMMEDIATELY FIND A VERY NICE AND AFFORDABLE PLACE TO LIVE IN SAN FRANCISCO WHERE SHE CAN REBUILD HER FRIENDSHIP AND SISTERHOOD WITH RIMPY S AND FOR THEM TO BEGIN THEIR BUSINESS WHICH WILL THRIVE. PLEASE BLESS CHRISTOPHER TO RETURN SAFELY TO SAN FRANCISCO IMMEDIATELY SO HE CAN CONNECT, HELP AND BE A TRUE FRIEND TO RIMPY S, ANGIE N AND JONATHAN H. WE LOVE AND TRUST YOU. THANK YOU, AMEN! member of my family will come back into full union with the Catholic Church. Please pray for my family will over the financial burden that is set forth. Please pray that my future daughter in law will start making an effort to be part of our family and allowing us to see our grandson more often also to get a job and help out my son with her bills. Pray that I am recognized in my job or by someone in another company to provide an increase in my income. Pray for all those ill and in need of help. Amen. Pray my nephew and his wife will rejoin the Catholic Church/Faith, igniting their hearts, mind, body and soul to a deeper faith, commitment and participation than ever before. Bless them with beautiful, healthy, normal, strong children, from an easy conception, smooth pregnancy to safe, quick, uncomplicated deliveries. I pray my nephew and his wife, (niece) with be strengthen with power through the Holy Spirit. Always keep them safe, healthy, and happy. I pray for guidance and wisdom as my husband and I take on renovations to our home. May we find the right contractor, at the right price and right time and not argue about it. I pray for all the prayer requests for this novena. Holy Mary Mother of God pray for us. Dear Jesus and Mary, please keep my family and I safe and healthy. Please heal us of diabetes, heart disease, sciatica, TMJ, depression, anxiety, allergies, asthma, and colon problems. Please Lord accept my dialogue with You, please hear my cries, have mercy on me and take heed of my supplications.Thank You Lord Jesus. Dear God Almighty, Holy Spirit, The Paraclate, ST. PEREGRINE, St Jude, Holy Mother Mary, OUR LADY OF LOURDES Undoer of Knots, please undo the snarls of knots in my life. Please heal my stomach ailments, the belching and the discomforts. I beg You Lord Jesus my God. ALL YE HOLY ANGELS AND SAINTS I implore your aid, grace, discernment, and providence into my soul and for my intentions listed here in my petitions for myself, Son Christopher, mother Margaret , siblings, friends, all my relatives and loved ones, who this daily Novena is intended for and for the whole world. Thank You Lord Jesus Christ for hearing me in advance. Blessed Holy Mother Mary with your intercession and that of All Your Holy Angels and Saints The Merciful God answered all my prayer requests. He delivered my soul from death and honored me with all my needs. Thank You Lord. Praise the Lord O my soul and all that is within me, Praise Your Holy Name. Dear Lord God Almighty; Holy Mother Mary, OUR LADY OF LOURDES, Blessed St. Joseph, Blessed St Michael the Archangel, ST. PEREGRINE, St. Jude, ST. ANNE, Blessed St. Padre Pio, All Ye Holy Angels and Saints. l invoke your names to please intercede on my behalf for the Almighty God to forgive my sins, to have mercy and pity on me and to please accept my unceasingly Thanks and Praises, For God to please hear my constant prayers and continue coming to my aid. I need you desperately God. I Knocked, l asked and sought your HELP Jesus. I trusted and believed in Your WORD that by your Stripes l am healed and You O God HEALED me. YOU CURED MY Diseases. Almighty God You had pity and mercy on me just like You did for Hezekiah. Thank You Lord Jesus for hearing my cries and wiping my tears away despite being a sinner. I adore Thee my Lord. l love Thee my God. l praise You Jesus. Thank You God for heeding my sighs and moaning. For listening to my supplications and driving away all my fears and anxieties. For answering all my Prayers and delivering me from the snares of the devil, my enemies, for fighting my spiritual battles for me and allowing me to defeat my enemies and delivering me from death. Glory and Praises be unto Thee Lord God Almighty. How can l thank Thee Lord Jesus. I will call upon Thy Holy Name to Glorify Thee. I exalt Thy Blessed Holy Name, I will testify to the whole world for what you have done for me. I am striving to do your Holy Will in your glory. I extol you and testify your wonderful deeds to ALL. l shout your Mighty Name to the world and testify to them how Good you have been to me. Thank you Sacred Heart of Jesus. Praise the Lord O my soul. Thank you Holy Mother Mary, Thank you Blesseds St. Joseph, ST. PEREGRINE, St Anthony, St Jude, St Anne, St Bernadette, St Benedict, St Faustina , St Catherine, St Teressa, St Maria Goretti, St. Margaret, St Thomas, St. Francis, St. Padre Pio, St Michael the Archangel, St Gabriel, St Raphael, St Rita, St. Agatha, St. Lucy and All Ye Holy Angels and Saints for interceding on my behalf to the Almighty God. Please continue to pray and intercede on my behalf for God’s strength; for God’s corporal and spiritual healing mercies and blessings. Please God help me to retain my nutrition so l can gain some weight. I have lost so much weight after the surgery. I beg you Lord Jesus. l thank You Lord for when l gain some back and also allowing me to receive all benefits due to me. Glory be Thine. Praises be unto Thee. Please God grant me your protection from the devil and please pour your amazing Grace upon me, on my son Christopher, mother Margaret, brothers and sisters, all my loved ones, all those who have ask for my prayers and on all mankind. Thank You Lord God Almighty. Blessed Angels and Saints please do not leave God’s side until He hears your prayers on my behalf. Thank you Lord Jesus Christ. Lord Jesus please forgive our sins, fill us with your Holy Spirit, encircle us with your Holy Ghost Fire, wash us with your Precious Blood from the crown of our heads to the soles of our feet. Heal me with your Stripes, safeguard, strengthen, guide and protect me, my son Christopher, mother Margaret, brothers and sisters and all my loved ones from all evil and satan, the devil, the enemy who is prowling around us to ruin our souls. Please God keep me safe from diseases, sickness, calamities, my enemies, satan attack and spiritual warfares. Please God bring my devided family together, closer to each other and bind us with Love, Peace and Unity. Let your Superhuman St. Michael the Archangel and all your Holy Angels, Archangels and Saints safeguard, protect and defend us from the enemy the devil, satan the evil spirit. Let the devil and his followers dinah, fall into the bottom of the infernal abyss, of their own fiery, miry pit trap that they have dug for us and please God let them RISE NO MORE. Please Lord have pity and mercy on us and please love us and grant our needs according to Your Will. Please grant us Peace in our hearts . Thank You Lord God Almighty. Lord please be in our midst on this earth and where there is war, disaster and calamities, grant us your Peace, protection, grace, deliverance and mercy. Have pity on me please Father Almighty, Lord Jesus Christ. Sanctify my soul for in You do l take refuge and wait. In your WORD l trust, believe, depend and wait. Your Word that shall never pass. Please Lord, Fortify my Charity and increase my Faith. Please God, do not allow my enemies the devil to defeat or shame and laugh at me. Please Jesus defend me from the malicious enemy. O Good Jesus hear me, within Your Sacred Wounds,hide me. Lord please listen to the prayers and the needs of all those who are calling upon your Holy Name, including this your poor servant; me Edith and in your mercy, please Lord God hear and answer our prayers according to Thy Will. Please do not look upon my sins or the sins of my parents, child, Siblings, family or forefathers but in your mercy please Lord forgive us our faults and hear my cries. Thank You Lord Jesus. Please Lord Bless and guide me at all times and please do not leave my side as l strive to do your Holy Will. Please God direct my paths to your Ways so as to Serve You. Please God the World needs You. Your children are crying for you. Lord Almighty God, Eternal Father, in your mercy, please bestow your perfect peace, light and eternal rest upon all your faithfully departed souls including my father Joseph-Benjamin, grandparents, aunts and uncles, cousins, nieces, nephews, friends, all my loved ones and all the clergys. Please Lord grant them a piece of your Kingdom with your Holy Angels and Saints in Heaven. Thank You Lord Jesus Christ. I give You the Glory and Praises. I exalt and magnify Your name. Please God forgive my sins and hear my cries. Please have pity and mercy on me and grant my heart desires according to Your Will. All my Hope and Trust is in You God. Please heal my belching and stomach discomforts, guide, guard, defend and protect me. Please God deliver me from the malicious enemy, from satan attack, from diseases, sickness, disasters, calamities, woes, fears, anxieties and death. Please hide me within Your Sacred wounds. Please Lord bless me with normal results on all my upcoming lab tests, cat scans and mammogram. You are a Good God that never goes back on Your Promise. Thank You Lord Jesus Christ in advance for answering my petitions. Please Lord Bless me, my son Christopher, mother Margaret, siblings, family, friends and this earth ‘s exiles.